LPAPA’s first Hardbound Book coming soon! 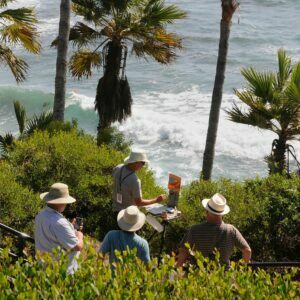 All 50 Invitational Artists will be gathering in Heisler Park to compete in the annual Quick Draw Painting Competition. The artists only have 2 hours – 9:30am to 11:30am – to create a plein air masterpiece! 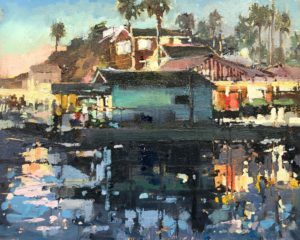 Come watch them paint as they carry on the plein air painting tradition that established Laguna Beach as an art colony 100 years ago! 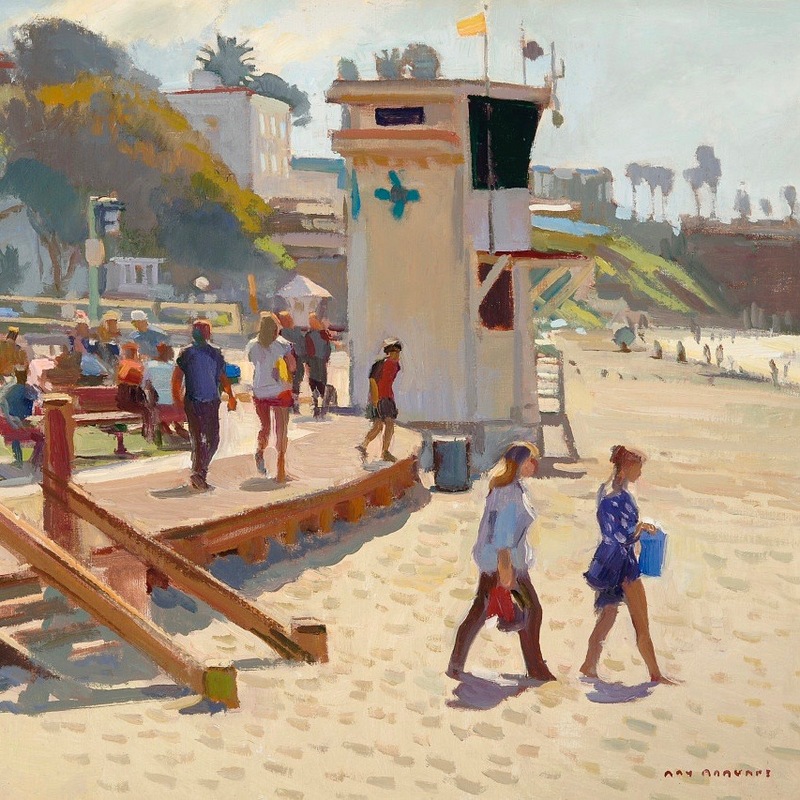 Visit with the artists before or after the Laguna Art Museum’s Centennial Trolley Tour! Immediately following the Quick Draw painting event, the artists will gather at the Festival of Arts for a Meet & Greet reception at the Festival of Arts, starting at 12:30pm to 1:30pm. The public is invited to join us (free admission) for refreshments, to meet the artists and see the framed wet paintings. The Quick Sale Art Show will be presented at the Festival of Arts from 1:30pm to 3:00pm. This is a fantastic opportunity to add a special and memorable plein air painting to your collection that you were able to watch it created before your eyes by an award winning plein air master artist. Not only can you collect a California original work of art, but you are also collecting the experience of seeing the artwork created! Come see the artwork and meet the artists at the Laguna Festival of Arts! LPAPA merchandise will be available for purchase at the LPAPA Pop-Up Store! All of LPAPA’s Sunday Quick Draw events are free entry to the public! Follow & share using our event hashtag #LPAPA20th! 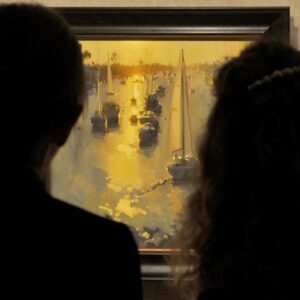 Spend an enchanting evening under the stars with 50 of the nations top award winning artists, surrounded by art lovers and some of the finest plein air fine art you can find anywhere! Our 20th anniversary gala will be a special celebration at our new Laguna Festival of Arts “home” on Saturday October 13th, 7:00pm to 10:30pm (*VIP Ticket holders receive early access for a private reception starting at 6pm*). Evening or cocktail attire suggested; must be 21 or older to attend. 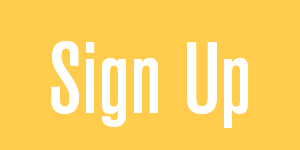 Advance Gala Ticket price $150 through October 11th! 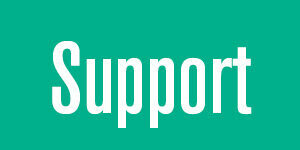 LPAPA Members, please check your in-box for your 15% Members-Only Discount Code! *Please note: VIP Gala Tickets are available to our Invitational Sponsors & Partners who have the privilege of early VIP entry, and a private VIP cocktail reception with the artists, one full hour before the doors open to the Collectors Gala ticket holders. VIPs also have the privilege of purchasing artwork commencing at 6:45pm. 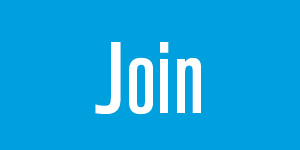 To learn more about becoming an Invitational Sponsor or Partner please click on the link below or contact LPAPA’s Executive Director by phone (949) 584-9162 or email info@lpapa.org. On Sunday October 14th at 10:00am, we open the doors to the public for all to visit the Invitational Art Show, meet the artists, and watch live painting demonstrations throughout the day until 5:00pm when the show ends! Free entry to the public (however, donations in any amount are always gratefully accepted to help support our nonprofit!). 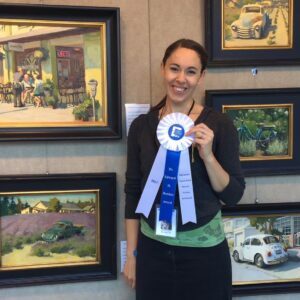 Sunday will be your last chance to meet the artists (and award winners) and collect an original work of art created during the Invitational by one of today’s master plein air artists. 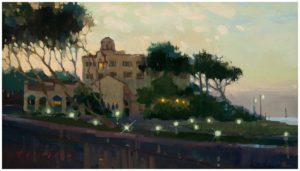 Proceeds from the sale of artwork benefits the artists and nonprofit Laguna Plein Air Painters Association. Location: Laguna Festival of Arts, 650 Laguna Canyon Road, Laguna Beach, California. Pierre Guidetti from Sennelier Paris will be presenting “Impressionism & A 19th Century Art Revolution” at 2:00pm at the Forum Theater; more details: LPAPA Plein Talk. Free entry. The Invitational Artists will be doing painting demonstrations throughout the day! LPAPA merchandise will be available for purchase at the LPAPA Pop-Up Store — including our soon to be released Book! 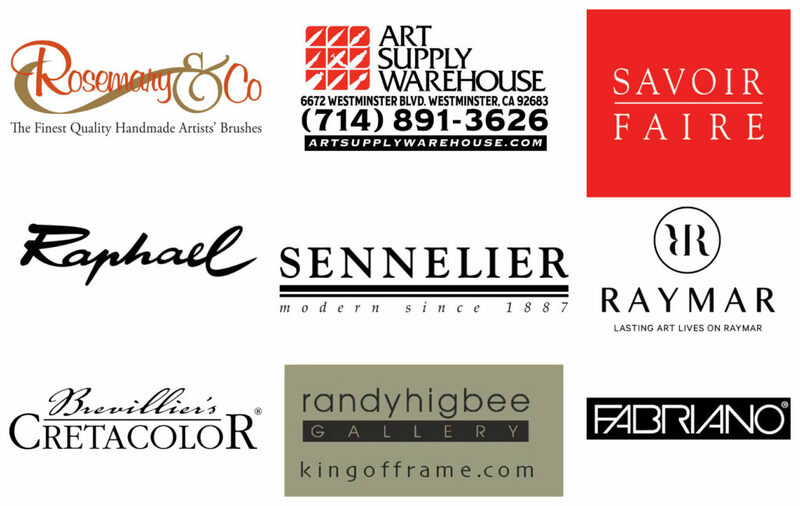 And, come meet the top art materials experts who will be with us to demonstrate and sell their products… including Art Supply Warehouse, Brevillier’s Cretacolor, Fabriano, Rosemary & Co. Brushes, Randy Higbee King of Frames, Savoir Faire|Sennelier, and more!